Fresh Start has moved to 16 Brent Drive in Hudson. The following list shows agencies which are permitted to refer clients to Fresh Start Furniture Bank. If your agency is listed, select it from the following list and then press submit. 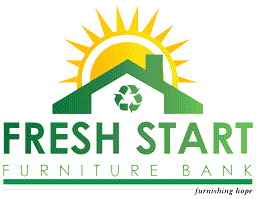 Before your agency can refer clients, you need to register your agency with Fresh Start Furniture Bank. After your request has been received and approved you may use our online system to create referrals which will allow your clients to obtain services at Fresh Start. Click on the following link to register your agency.